New Zealand’s Prime Minister, Jacinda Ardern, doesn’t know why someone would want to shoot dead 49 Muslims in her country. “There is no place in New Zealand, for such acts of extreme and unprecedented violence”, she said, in “an emotional” press conference, last Friday. She’s wrong. There is a place in New Zealand for such acts. And her foreign policy sanctions them. In a cheerful press conference, in Brussels, on January 25, this year, Ardern reaffirmed New Zealand’s “close partnership” with NATO. Standing alongside NATO’s Secretary General, Jens Stoltenberg, Ardern stated that New Zealand “sought to play its role and part [alongside NATO] in the defense of values and norms, we hold dear”. These values include, she added, “democracy, human rights, vital freedoms” and a “rules based order”. She forgot to mention another key norm, which she and her NATO partners embrace: killing Muslims in large numbers. And today, among other things, the NZDF contributes “two headquarters staff officers supporting NATO’s Resolute Support mission”. In Iraq, today, there are “NZDF staff officers working at the headquarters of the Combined Joint Task Force – Operation Inherent Resolve In Baghdad”. And their job is to “coordinate military efforts in Iraq and Syria”. NZDF “officers are [also] stationed in headquarters in Qatar, Kuwait and Bahrain”. The headquarters of what? The website doesn’t specify, but we can surmise that these command centers are controlled by NATO forces. And in the Arabian Gulf and around the Horn of Africa “NZDF personnel are also embarked on UK and Australian Navy ships”. Meanwhile in Mali, “a senior NZDF officer [recently] assumed the role of Chief Military Intelligence Officer (U2)” in the foreign force that is currently occupying that country. In short: New Zealand, today, is making war throughout the Muslim world. Jacinda Ardern, of course, doesn’t say this. She and her partner, Jens Stoltenberg, prefer the words: “peace and security”, “rules based order”, “mutual goals”, “globalization” and even “human rights”. The American led “War on Terror”, which New Zealand has clearly signed up for, is guilty of genocide within the Muslim world. Since 2001, this war of aggression has mercilessly ripped apart Afghanistan and Iraq. And has branched out, with equal viciousness, into Libya, Syria and Yemen. The Muslim blood that has been spilt in these countries, since 2001, is partly on the hands of New Zealand. Last Friday’s horrible killing of Muslims in Christchurch, represent in microcosm the “war on terror”, which has been waged by New Zealand and its partners throughout the Middle East and North Africa, since 2001. After watching the Christchurch killings on Facebook and YouTube, one can only compare them to the infamous July 12, 2007 killings in Baghdad, which Chelsea Manning and Wikileaks revealed to the world in 2010. The cold blooded killer in Christchurch may as well have been the pilot of the US helicopter gunship. He may as well have been a member of New Zealand’s special forces. New Zealand’s Prime Minister is ignorant, when she says that the Christchurch killers “are not us”. 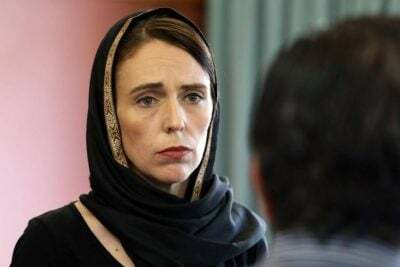 An examination of her foreign policy, reveals that New Zealand has signed up precisely for the madness we witnessed on the streets of Christchurch last week. Embedded in New Zealand’s global posture – whether Ardern is aware of it or not – is Islamophobia.